Hi again! I don't normally double post but I wanted to make sure that everyone attending Polish Con this weekend could get a preview of the colors available. 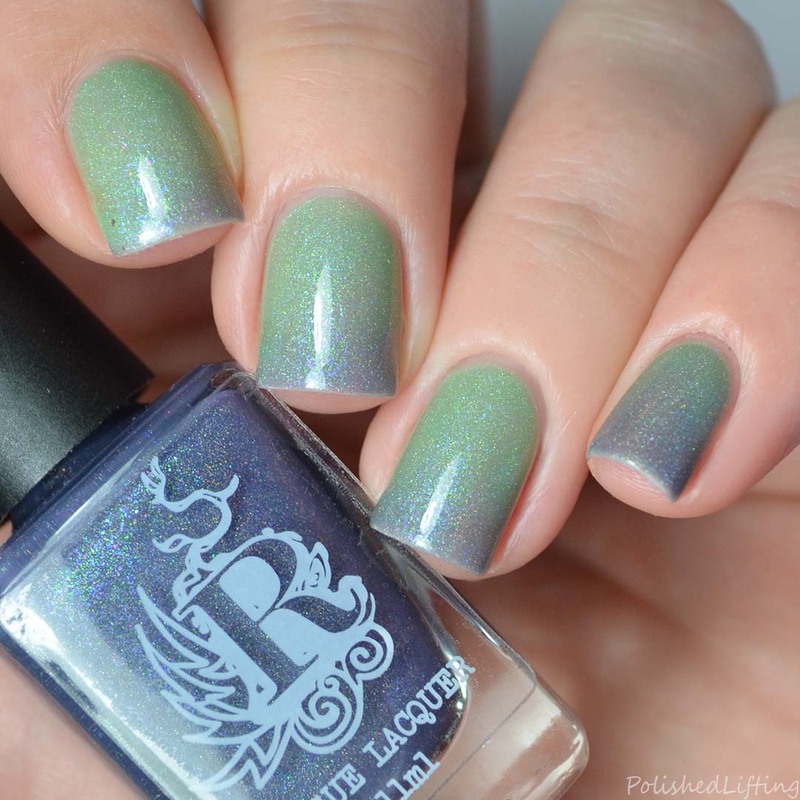 Earlier today I showed you the Great Lakes Lacquer colors and now I have the Rogue Lacquer colors. I don't know if you all are going but after seeing the colors from both indies I have a feeling that this Polish Con is going to be amazing! Notes: If you're a huge fan of oxblood colors like I am, this is a real treat! 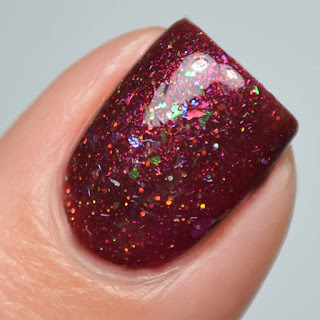 I like how it keeps the same rich feel of an oxblood creme, but really dresses it up with those pretty flakies. Notes: Tell me you don't just love how this looks in low light. I simply adore it! 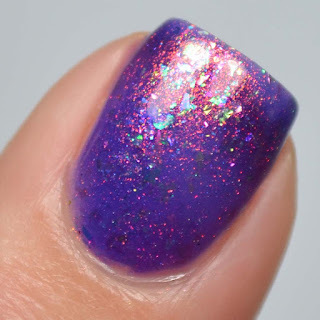 Notes: Charmed is a highly reactive tri-thermal. I had to run to and from the bathroom to take photos because the second I stopped running my fingers under the water it started changing to the next color. 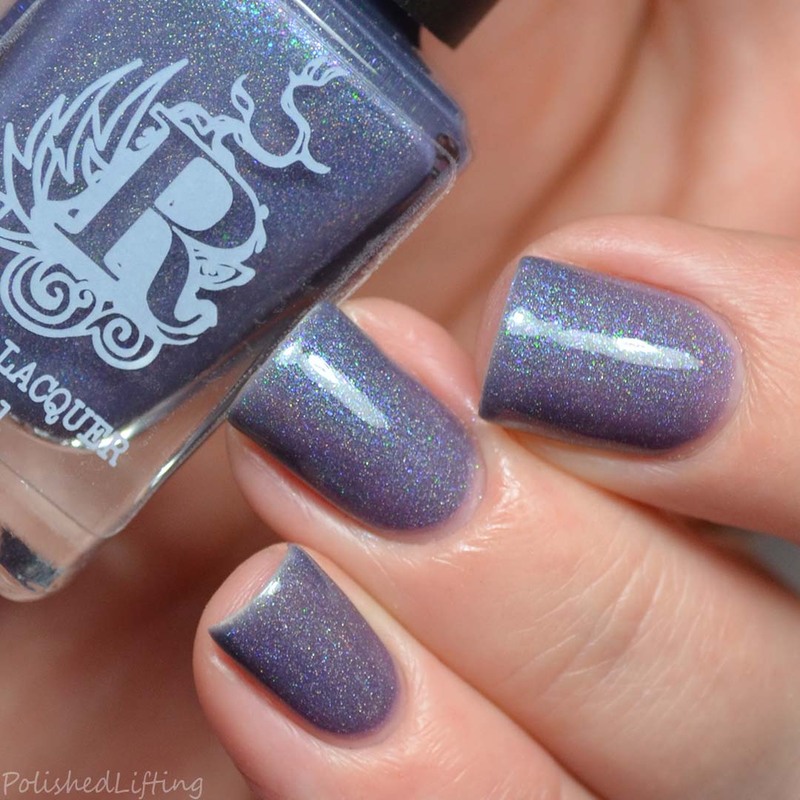 If you're looking for a fun, easy to use thermal, this is it! 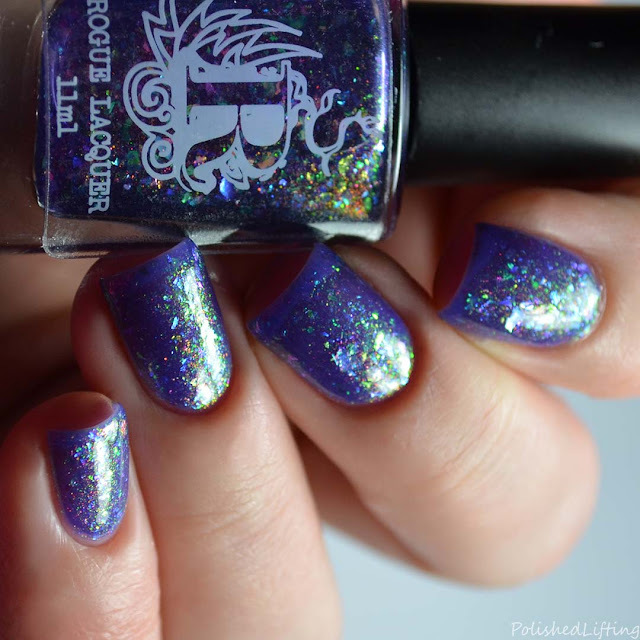 Rogue Lacquer Polish Con limited edition colors will be available at Polish Con on Saturday, April 6th. Leftover colors will be available online on Monday, April 8th. 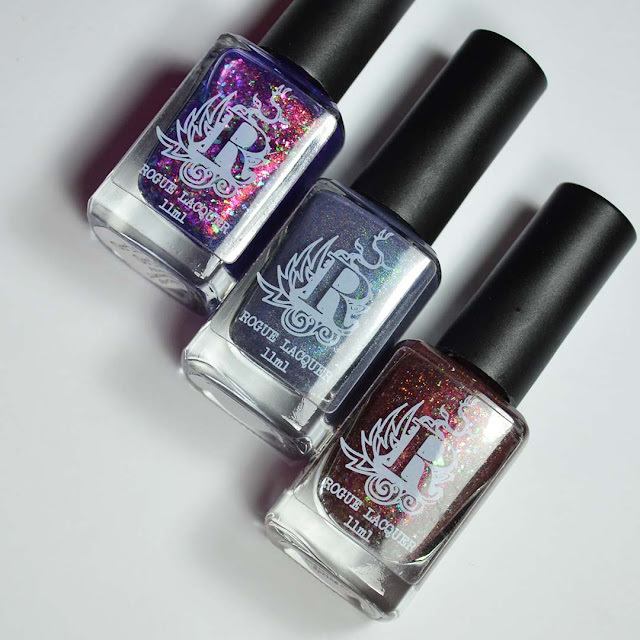 Con specials are 3 LE colors for $33, the spring collection for $40, a $6 doorbuster, and a $14 grab bag (includes exclusive polish). Rogue will also be offering $5 off a $50 purchase or $10 off a $100 purchase at Polish Con. If you enjoyed this post you might like Rogue Lacquer The Thinker | Polish Pickup April 2019 and Rogue Lacquer Wilds of Arizona Pt 2 & Not Your Average Holiday Duo.